Lucius wasn't feeling all that well today with his tummy. So, little creative time for me. So instead I looked through our travel photos for ideas and inspirations. 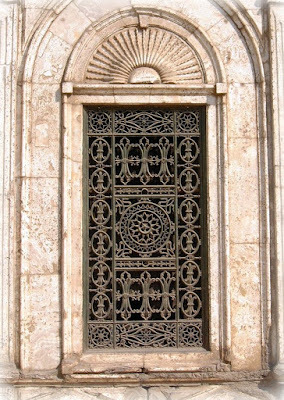 I came upon this picture of a beautiful window grill I took of The Citadel in Cairo, Egypt. If only I could decorate all my windows with this.